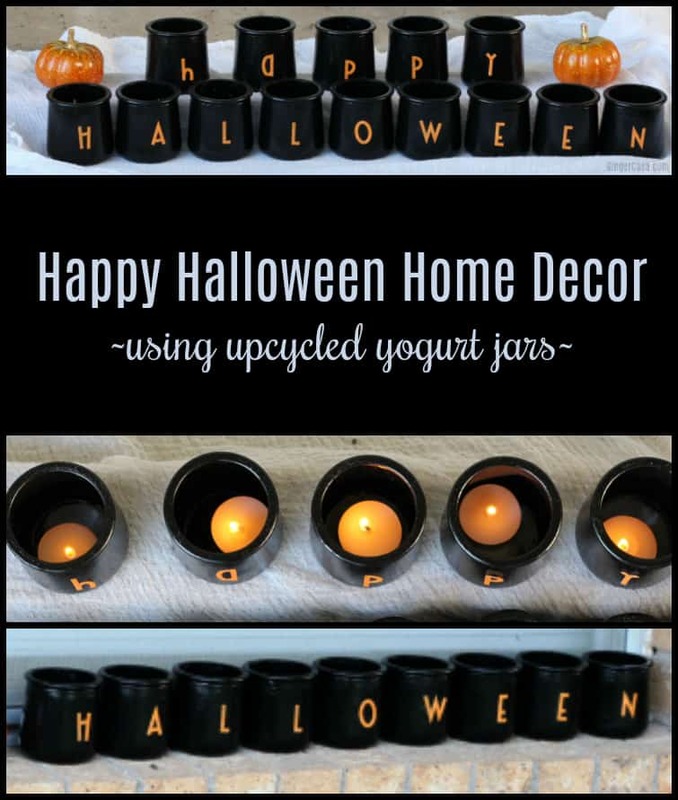 Yes, here I am again with a craft using these adorable yogurt jars! They really are the perfect size for so many crafts! The first thought I had when I bought Oui yogurt is that they look like little cauldrons. 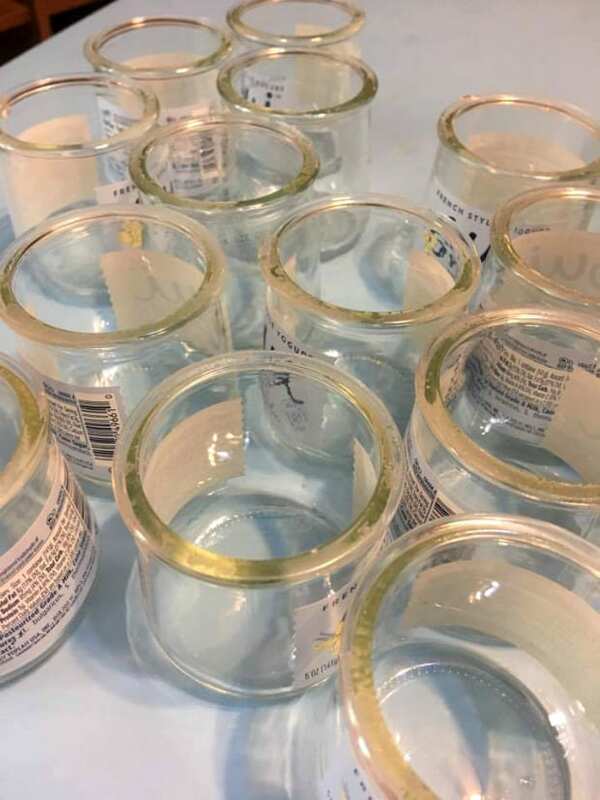 They come with a foil lid so they’re technically not jars, but pots, but they have so many uses! I started stockpiling my Out yogurt jars and I ate so much that I quickly had plenty for many crafts! My mind was blown at a yogurt that came in a glass jar. Would it be awesome if we could replace all of our plastics with glass and then reuse or recycle everything? One day! 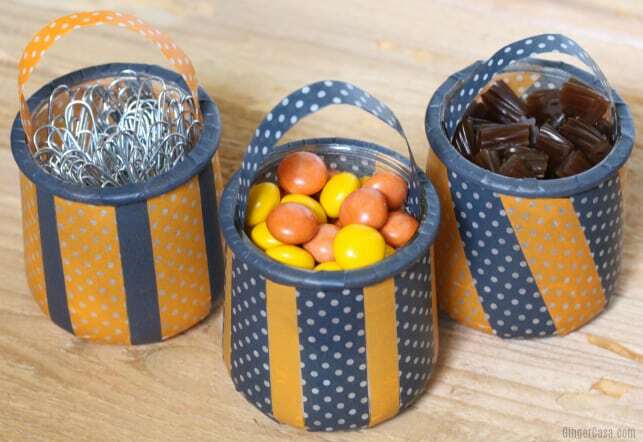 These little jars are the perfect size for holding littles things like candy, crayons, toothpicks, office supplies, etc. 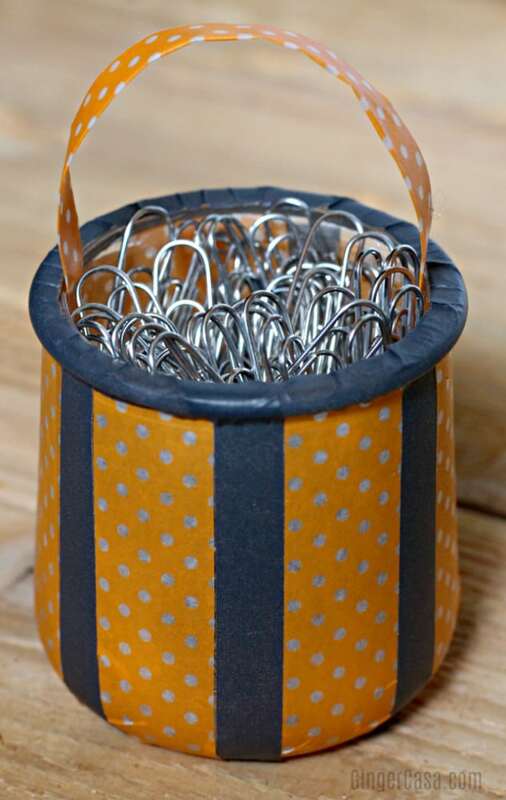 A teacher could add some fall feel to her desk and keep it organized at the same time. 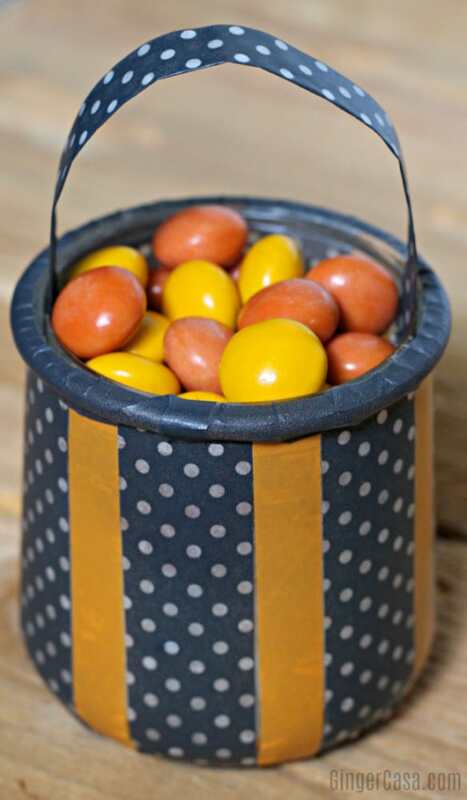 They would be great for treat jars or home decor. I added some cute little candies to mine, as well as paper clips in one jar because we are always needing paper clips and cannot find them! Oui yogurt jars, washed and dried. Remove label, if desired, from yogurt jar. It’s not absolutely necessary, but it does provide a cleaner look when you apply the washi tape. 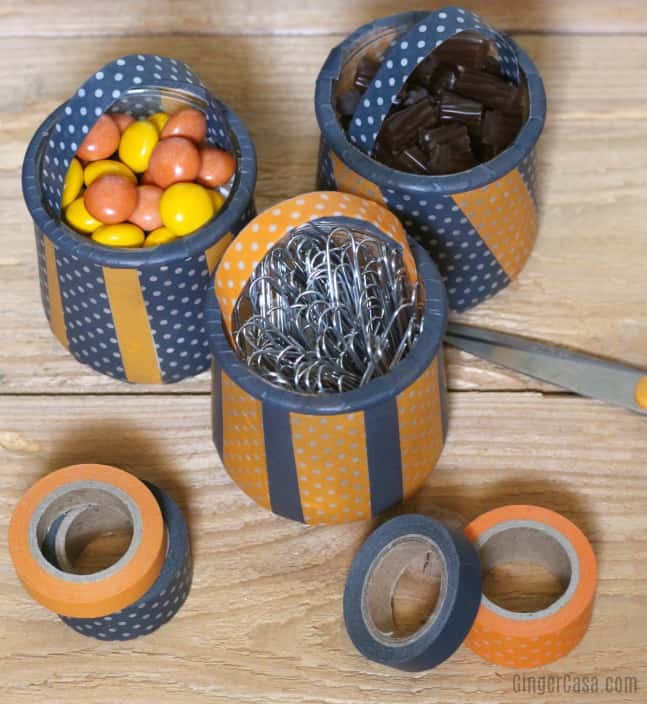 Decide your design and cut a piece of washi tape. Alternate colors of washi tape until the entire jar is covered. 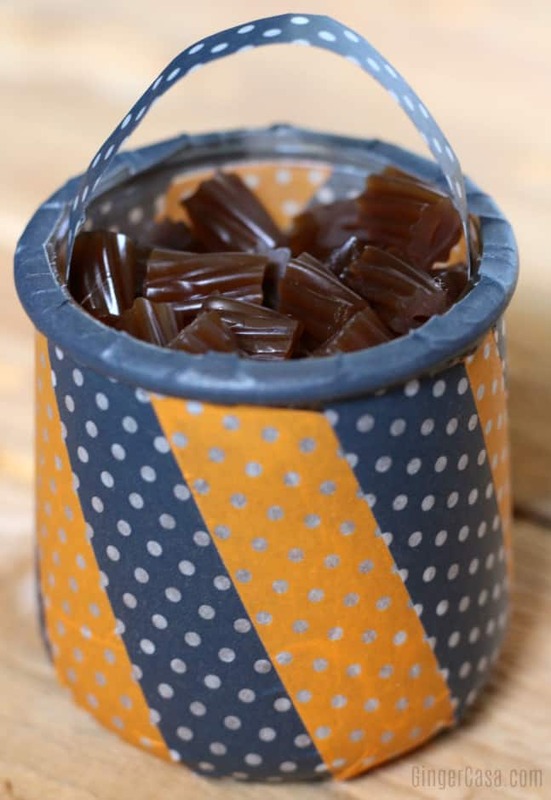 Use a long strip of washi tape on the rim of the jar, pressing down firmly. Cut a strip of washi tape and fold it over for the handle. 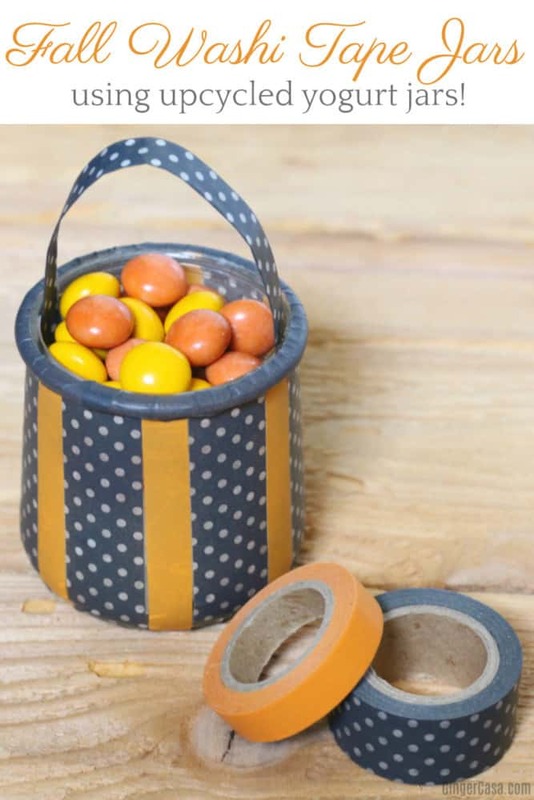 Secure the washi tape handle with hot glue on both ends. Fill jars and enjoy the cuteness!